Ani-Gamers Mr. Maruyama, you've been to Otakon quite a few times, possibly more times than any other Japanese guest. Why do you keep coming back? What do you enjoy about coming to U.S. anime conventions? AG Do you find any differences between Japanese anime conventions and American ones? MM First of all, in Japan there aren't conventions like the ones in the United States. In the U.S., these events are made for the fans, and they're just an excuse to get together for a weekend to have a party of sorts with people who share your interests. In Japan, anime events are sponsored by merchandising houses for the purposes of selling and advertising, so there's not that same feeling that you get from an American convention. Of course, I participate in the Japanese events because it's part of business, but it doesn't have the feeling of hanging out and meeting the people. I mean, I love meeting the Japanese fans too, but in Japan we don't get the opportunity to meet the fans like I do here. So I love coming to these events to meet these fans. AG As executive producer at Madhouse, what do you do as opposed to a normal producer? How much hands-on work do you do on each project? MM If it's got "Madhouse Presents" on it, I work on it from the planning stage to the drawing stage, checking the image and sound. All the way from start to finish, I have a hand in it. Whether it's a 30-second TV commercial, a 24-episode TV series, or a 2-episode TV series, I have a hand in all aspects of every show that we work on. AG Wow! That's a lot of work! AG How does Madhouse's production pipeline work for taking a creator's idea for an original project and bringing that through to execution, as opposed to an adaptation? MM The bottom line is that the production process is the production process. There's not a whole lot of difference to it. Either way, you meet with the original creator, whether it's something that already exists or it's an original title. When it's a title that already exists as a comic or what-not, it's easier to understand the setting that it exists in, but because of that, you have to decide what to keep and what to change, while still maintaining integrity to the original title. But you still have to make a new animated version, so there are things that you have to change or be creative about in order to bring a pre-existing title to an animated form. Whereas on the other hand, if it's an original concept, you have to design that world. 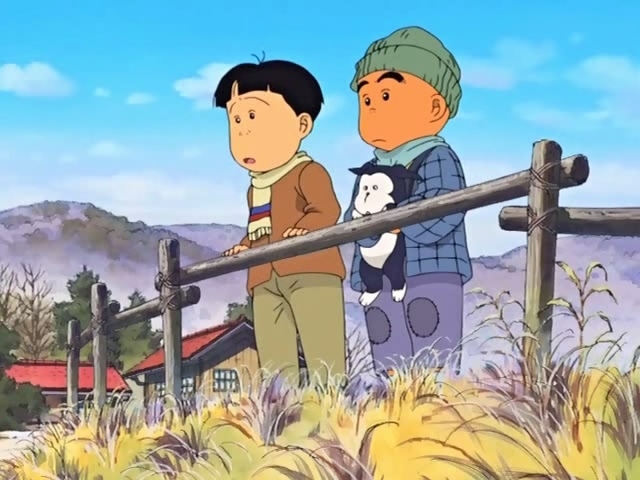 Both original and adapted works have their own share of hardships, but overall the production process is the same. 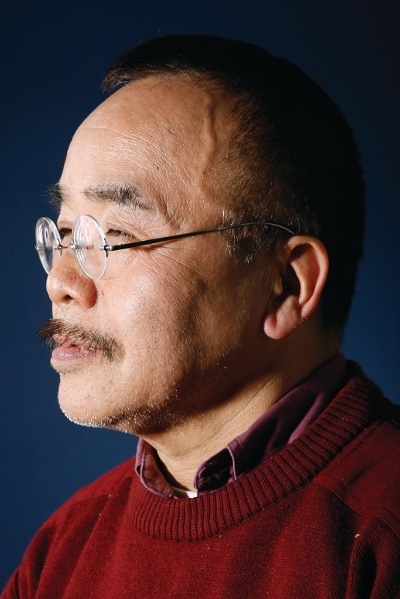 AG You worked with Satoshi Kon a lot during his career. How did you first come in contact with his work and why did you decide to bring him on at Madhouse? MM I knew him because we worked in the same industry. He worked on some of our titles, not as a director, but we had a pre-existing relationship. But with Perfect Blue , we were able to work together directly, and we were both creators who always trying to strive for something new, something different. So, it was a fortunate meeting, and I think he was a great person to have worked with. I'm grateful to him. At this point, Mr. Maruyama reached across the table and handed me a little hard candy. Bemused, I placed it on the table in front of me and continued the interview. 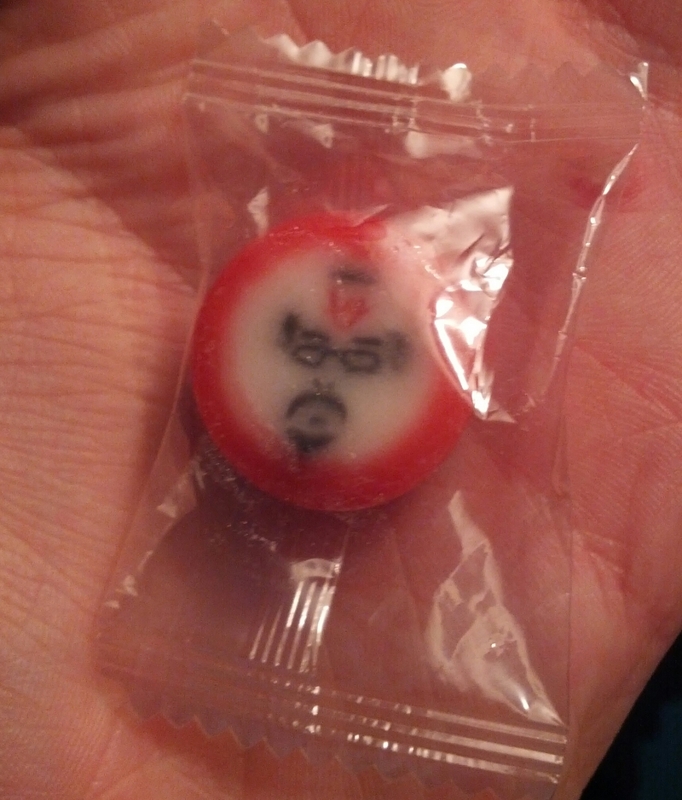 He later explained that this was a custom-made candy with an image of Satoshi Kon's face on it. Apparently, no matter which way you cut it, the design is still there (though I have yet to test it myself)! 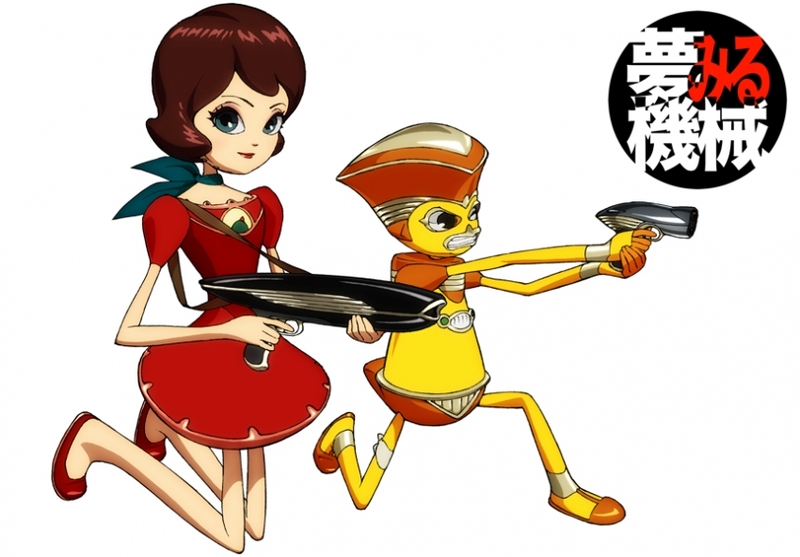 AG How is Yume Miru Kikai ( The Dreaming Machine ) coming along? I know Kon left some pre-production work before he passed away. MM Um, talking about it … is difficult. It was almost enough of a reason to keep me from coming to a convention that I've come to every year for the past eight years. MM Yeah. Right now the production is stopped and I'm trying to find a way to be reunited with that work and somehow bring it to fruition. AG I can tell you a lot of American fans would like to see something more from Kon. A lot of us, myself included, were very saddened when we heard about his passing. 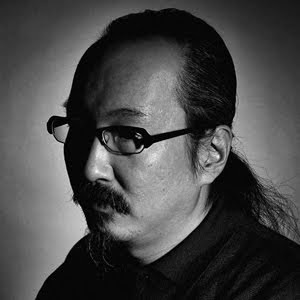 Maruyama: No matter how many years it may take, I'd like to think I can bring [Satoshi Kon's The Dreaming Machine ] to life. MM No matter how many years it may take, I'd like to think I can bring that title to life. Of course the biggest problem is funds. AG Looking at the crop of young, up-and-coming anime directors, who do you think are the most promising creators? MM I think there are a lot of next Mamoru Hosodas out there (EDITOR'S NOTE: Hosoda directed The Girl Who Leapt Through Time and Summer Wars for Madhouse). There are a lot of directors, hopefuls, who are up-and-coming. AG If you had to pick five essential anime, anime that everyone should see once in their life, whether series or films, what would they be? AG You can pick less than five, or more, or whatever. MM If you want the top 100, I'd love to pick them for you! Five would be difficult. Well, I have one. It's a title that'll probably never see the light of day overseas. It's something I worked on at Madhouse. Hanada Shonen Shi . I think it would be "Hanada's Boyhood Diaries" in English. It's a very Japanese story. It gives you a slice of life, an idea of what it's like to live in Japan. Just watch a few minutes and see what you think. Actually, I would like to see how U.S. fans would react to this title. AG When did you work on it? AG Kind of related to that, do you have any favorite manga or live action films? MM I have so many favorites. It's hard for me to pick one out of anything, because I'm a very selfish person. I can't list them. AG [Laughs.] We'll come back for a two-hour interview where you list everything that you like. MM [Laughs.] Give me time to list off 100 of them. AG Last question! Do you feel there's a kind of "Madhouse brand" or some sort of distinct atmosphere to your work? MM Our main goal is to create something interesting and something good, so we wouldn't really specifically say there is a feel or a brand to everything. We want to challenge ourselves in very many genres, so anything we create is a part of Madhouse's style. But if you ask us, "what is Madhouse's brand?" I couldn't really tell you. AG That's it. Thank you very much! Click here for more coverage of Otakon 2011.